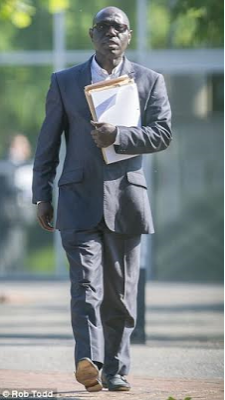 Samuel Kayode, a Nigerian man who works as an accountant at Haberdashers’ Aske’s state schools in the United Kingdom, is standing trial for allegedly defrauding the schools to the tune of £4 million. He is also accused of using some of his loot to buy designer outfits, the court heard two days ago. According to the prosecution counsel, Kayode would arrive late each day to his £57,000 a year accounts manager job, dressed in expensive Gucci and Versace clothes. He would work late in his office, refusing to share details of the schools’ finances with his bosses. He allegedly obtained £150,000 by theft and £3.95million by fraud. Kayode was caught when an anonymous whistle blower phoned a new chief financial officer at the schools in 2012. When he was arrested, the suspect had in his garage a new Mercedes, a new £40,000 Infiniti luxury car, an Audi TT sports car, at least four properties in Britain and more in Nigeria. All questions by the police asked the police was met with a ‘no comment’ even though he denied the charges levelled against him.